1. 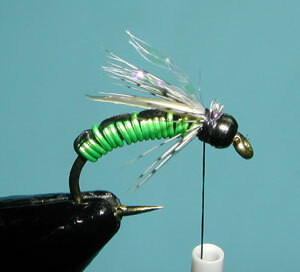 Slip a black bead through the hook and bring up to the eye. 2. Attach 2 strands of Black Floss and a piece of Medium Ultra Wire just behind the bead, leaving a little space behind the bead. 3. 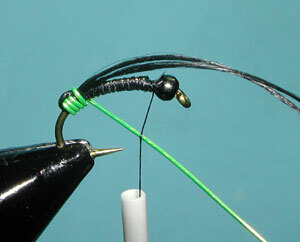 Wrap the material with thread down to the bend of the hook and wrap back to just behind the bead. 4. 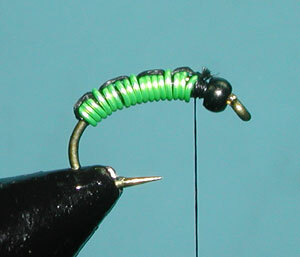 Wrap the wire forward with every fourth wrap securing the floss on the top of the shank over the previous wire wraps. 5. Wrap the material to just behind the bead and secure with thread wraps. 6. 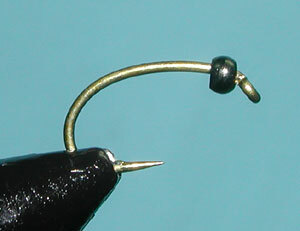 Attach two goose biots in a cross pattern, similar to a prince nymph or copper john, just behind the bead on the top of the hook shank. 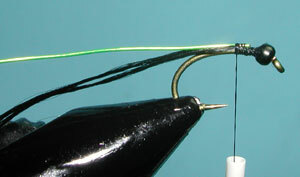 The tips of the biots should not exceed the length of the hook. 7. Trim off the tag ends of the biots and secure with a couple thread wraps. 8. 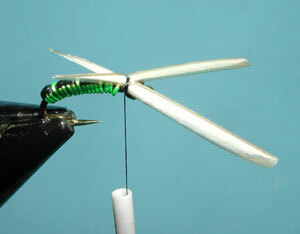 Clip some fibers from a partridge feather and secure behind the bead on one side of the shank. The length of the fibers should equal the biot length. 9. 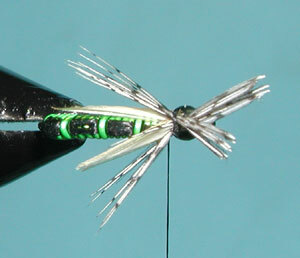 Attach a second group of partridge fibers to the opposite side of the shank in the same manner as the first. 10. 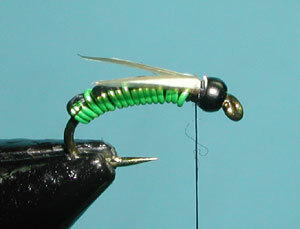 Attach about 4 strands of Krystal Flash behind the bead for an overwing. Clip the tag ends of the material off and trim the flash wing to the same length as the biots. 11. 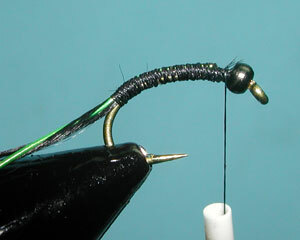 Wrap dubbing as a collar behind the bead to cover the thread wraps. 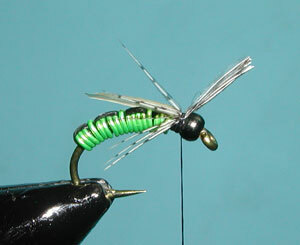 Use a dubbing that has longer strands such as SLF dubbing for movement.